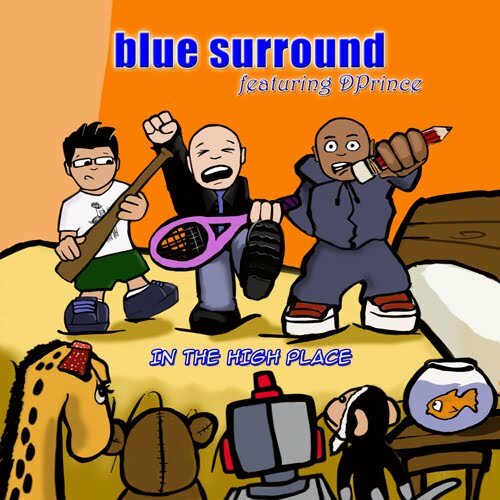 Blue Surround: DPrince and John Dearing join Blue Surround for live shows! DPrince and John Dearing join Blue Surround for live shows! DPrince and John Dearing will be joining us for our upcoming live shows! DPrince is a rap artist from Sacramento. He's featured on our song In The High Place and will also lend his vocal talents to our upcoming singles She Feels Like Home and Until You Take Flight. You can check out his music on Facebook HERE! John is a longtime friend of the band and will be our drummer for live performances. He's also helping to co-write some of the percussion tracks for our forthcoming songs.